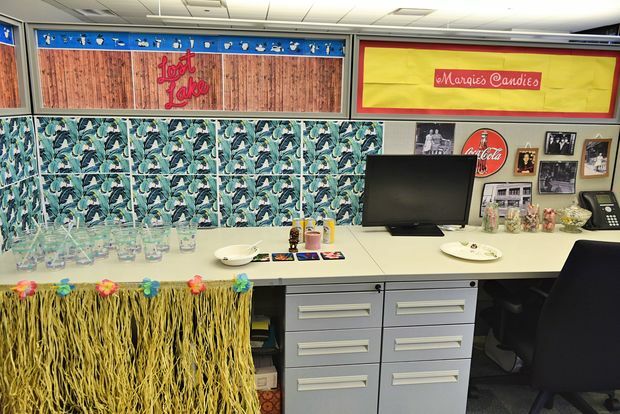 CHICAGO — We dress up our kids, we dress up our pets (and ourselves, obvi), so why not dress up our workplaces? 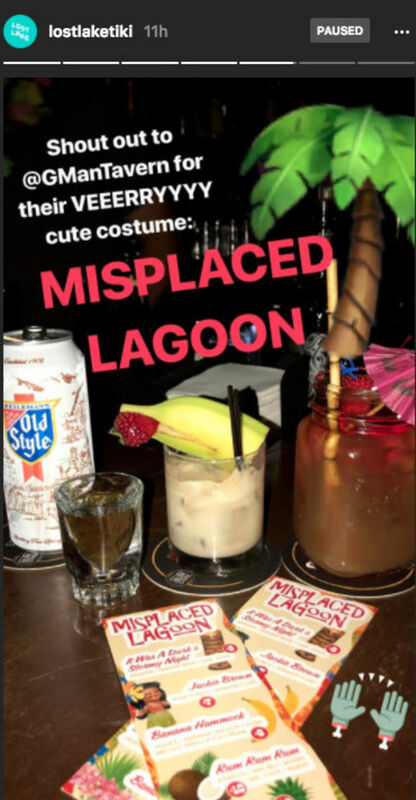 Lakeview's GMan Tavern became Misplaced Lagoon for Halloween, complete with a special cocktail menu, food from DMen Tap's DönerMen food truck, a costume contest featuring prizes from Metro, smartbar and Shuga Records Chicago and more. Tons of prizes up for grabs tonight at our Halloween tiki pop-up - Misplaced Lagoon! Tickets to @whitereaperusa @jamilawoods @thedrumsofficial at @metrochicago, @rockitburgerbar gift cards, @darkmattercoffee and more! Bring your best costume, let's make it a night to remember. Moneygun, at 660 W. Lake St., was planning to decorate itself as restaurant chain TGI Fridays for Halloween, but the chain known for its potato skins and all-American fare sent the bar's owners a strongly worded cease-and-desist letter warning them not to use the TGI Fridays name. Still, Moneygun stuck with the theme (while ditching the copyright infringement). They served potato skins and mudslides as an homage to TGI Fridays for a party they called "Wear the Flair." The Wiener Circle brought back its "McDowell's" costume this year, serving up Big Mics and transforming its sign. Replay Lincoln Park has been dressed up as Moe's Tavern from "The Simpsons" for more than a week, and had an epic final night on Tuesday. The arcade bar at 2833 N. Sheffield Ave. completely transformed its rear bar into the fictional tavern from the iconic TV show, complete with a Mount Lushmore display, Moe's-themed drinks (including a Flaming Moe), "Simpsons" artwork and countless Easter eggs the biggest fans of the TV show sought out. Moe can’t wait! Only 6 days left of this craziness. He does take Wednesdays off. We just restocked our Squishees, Flaming Moe’s and Donuts. Did your office or business dress up for Halloween? Send us your photos and we'll add them to this story! Email chicagonewsroom@dnainfo.com.